pyroceram – very clean – and my toilet seat is decently antiseptic as well.” By now, the program which had captured his attention had ended and his screen showed a stream of commercials of no interest to him nor, he suspicioned with the wry smile he was known for, anyone else who had more than two brain cells. “Line your refrigerator produce bins or baskets with high quality paper towels. We use only SEVENTH GENERATION unbleached unchlorinated plain brown paper towels. They are ***** IPBN FIVE STAR QUALITY products. Layer three thicknesses of these at the bottom of your refrigerator bins, then layer vegetables such as kale, collards, carrots, celery, lettuces, radishes – packing them in as closely as you can while leaving spaces for ventilation between every item. Don’t buy much fresh produce at a time and you’ll have no storage problem. In Europe, the tradition is to buy fresh every day and have a small refrigerator with frequent inventory turnover. In Asia the tradition is to buy just before every meal, three times daily. The American tradition of huge overfilled refrigerators stuffed with spoiling foods is not glorious or healthful and it is energy inefficient. But that’s another story…. Atop your packed produce, place another layer two paper towels thick and over this loosely lay a gallon sized plastic bag or plastic sheet to provide a sort of roof which will keep moisture from escaping too fast while at the same time allowing air circulation in and out. Carrots breathe. They continue to inhale oxygen, carbon dioxide and nitrogen while in storage; and they exhale the same continually – so long as there’s a bit of root or stalk bottom left on. In your refrigerator, they’ll adapt as on a cool damp night. Leaving as much of the bottom on produce as possible allows it to stay alive longer and perhaps even to grow. Sometimes carrots and beets will sprout new leaves. That’s a sign they are yet alive. Immerse parsley stems in water. Tear off outside leaves from cabbages and lettuces. Work from outside in and the item will last longer. That’s it, but you didn’t ask one important question. “What’s that?” We knew for sure he was alive and yet listening…. “Why tear rather than cut?” We heard him shuffling paper, perhaps he had been taking notes? “OK, why not cut?” We had him and replied, “Plants are made up of cells and when torn apart they break at the edges of cells. A broken off and torn lettuce leaf will hold up quite a while in a salad bowl, but cut it and the knife ruptured cells will weep, shrivel, try to heal and not last as long. There’s more – cut lettuce tends to brown at the cuts. The cell structure has been severely damaged and rusty bacteria go to work at every opportunity.” We stopped and waited to hear Mr. Sherlock’s response. “Is that all? My goodness. I never thought about all of these things before. Thank you very much. Can I join your organization? What can I do to help you?” Our reply was quick, “We never thought of all these things before either. We’ve learned from others and tested each strategy and merely pass them on. And, yes, you can join IPBN. Previous newsletters are accessible free on the internet at www.plantbased.org and we mail printed copies of every publication to members who contribute at least US$12.00 each calendar year. Just send a check anytime and we’ll send everything IPBN prints during that year – and more. We send whatever else we find which appears important for IPBN members. But membership aside, probably you can teach us something Mr. Sherlock. We suspect that you may have a famous ancestor who was a superb detective and you probably know much more than we do about most things. “You have been more than helpful,” he said quietly through a tell-tale wheeze. Too bad he has that nicotine addiction and creeping emphysema. Put away that pipe pops…. He needs healthcare bad and yet he’s concerned about pollution on produce. Mercy. What amusing creatures we are…. Past midnight, ’twas time for bed…. Gotta call Blanche tomorrow and tell her that Proctor and Gamble is now offering a produce washing “system” which portends to be comprehensive and widely available in supermarkets. More competitors, but we seem to outlive them all. Will this be a threat to natural products producers of fruit and vegetable sprays? If any company could do a first class job in this area, P&G could. They’ve got the money. But, will they do the needful or just harvest dollars? Will they give consumers a first-class veganic produce cleaning system? Or, will it be another synthetic chemical bomb? Why wouldn’t P&G try a veganomic route back to prosperity having seen its stock price fall precipitously in recent months? Veganomic incentives are everywhere one looks. Time will tell…. C’est la vie. Remember Ginny? She won the first IPBN contest with her essay on “Why I Am A Vegan” back in 1998. Ever since, Ginny Mead has been busy developing a business, veganomic in principle, and she is feeding tens of thousands some of the best foods they have ever eaten. At the Omega Institute in Rhinebeck, New York, in September, Chef Al Chase conducted a four-day vegan cooking course. Call it professional training, plant-based nutrition education, vegan cuisine awareness, healthy food preparation or a wellness workshop, this was a seminal event. He taught the needful, worked to meet individual and group needs and kept the sessions interesting as well as fun. But then that’s what he always does. As a synergetic benefit, participants in Chef Al’s courses experience culinary ecstasy and don’t want the experience to end. When it does, they tend to keep in touch. Again his family of friends and supporters has been widened. Rhinebeck participants have been added to the fold and they are joyous. Join with them in Chef Al’s helpful network by participating as you can. On September 14th, Chef Al taught a one day introductory workshop for faculty and students of the Art Institute of Philadelphia Culinary Curriculum. Also in attendance were representatives of Mayor John Street’s community health education team and IPBN. All learned and were pleased. He is a traveling man on tour for weeks every year. Following his series of Fall 2000 workshops along the east coast, Chef Al is planning his schedule for 2001. As Chef Al views things, “We are all in this together and American health improvement is the goal. When I was 88 years old, I gave up meat entirely and switched to a plant based-food diet following a slight stroke. During the following months, I not only lost 50 pounds but gained strength in my legs and picked up stamina. Now, at age 93, I’m on the same plant-based diet, and I still don’t eat any meat or dairy products. I either swim, walk, or paddle a canoe daily and I feel the best I’ve felt since my heart problems began. Alex Hershaft is exceptional. Bright and creative, he makes contributions to human betterment in many sectors and deserves formal recognition for all he does. Too few know this man. Everyone should. His leadership is a model worthy of study and emulation. Alex, you’re a hero. Where to start? Maybe his 1999 address at Veg fest, the annual conference of the North American Vegetarian Society deserves mention. It was clever, insightful and entertaining. Alex held the crowd’s attention with a review of expectations and realities. The gist was this: We expected health food stores to proliferate, but what happened was even better – supermarkets expanded the offering of veganic and organic foods. That’s just one example of the storyline. It was so good that several publications reprinted the script and FARM will undoubtedly send a copy to whomever missed it. Twas great, Alex. Alex is generous. To honor his Mother, Sabina, he set up a plant-based nutrition education fund which allows FARM to make project grants. And then he donated a large sum to further extend its outreach. But then Alex has been donating to good causes, way beyond the ordinary call of duty, for over 25 years. In fact, he moved to the Washington, D.C. area to serve “the movement” and he certainly has. Not just money and time, though. Alex has served as mentor to many developing leaders in the human and fellow creature rights, vegetarian, vegan, plant-based nutrition and ethics movements. At this moment, there are probably half a dozen eager to learn people, young and old, gathered at his house and FARM headquarters across the Capital Beltway from the National Institutes of Health in Bethesda, Maryland. They would be studying how best to get out sane messages at this moment in history. Alex has lived through and survived insane periods of history. Born in Germany during the Nazi reign, he survived through his Mother’s loving care. Coming to the United States following World War Two, his Mother and Alex were assigned to a chicken farm in New England. From concentration camps for humans to those for fellow creatures, Alex learned all there is to know about systematic and random abuse, injustice and the rationalizations of cruelty perpetrators. These awful experiences seasoned him for the work he does in behalf of fellow creatures and humankind. Despite terrible experiences during childhood, Alex is a sweetheart and a gentleman. Meticulous with details, Alex was a professional chemist before embarking on his life cause. When he cites a fact it can be trusted and verified. He proceeds systematically and scientifically, ethically and morally, cautiously but with surety and confidence. Alex deserves credit for being the one who dutifully and diligently traipses from office to office at the United States Department of Agriculture each year to find out and share with the world the annual headcount of fellow creatures slaughtered. Billions and billions, and the numbers are rising as smaller mammals are being increasingly preferred over the larger ones. As more and more fellow creature lives are taken, Alex keeps the count and sees that it gets publicized, whether in publications and other media or by posters and banners he displays while standing boldly regardless of season directly in front of the White House in Washington, D.C. He sends out Press Releases and has a very successful letters-to-the-editor campaign which gently persists – essentially everywhere. In FARM publications, Alex reminds persistently of the horror of these numbers. It’s his job, self-assigned, and he does it well. Nobody else could do it as well. And what a good writer and proofreader! FARM publications are meticulously accurate, precise and correct. Whatever he does is done well. Alex deserves credit for caring and carrying out needed work which makes the world better. So, if he is magnanimous, generous and meticulous, what are his weaknesses? Well, some of his friends think it would be good if he would eat a bit more and gain a little weight. Yes, every one of them is jealous of this trim, fit, buoyant vegan who leads folk dancing and swims regularly. On the other hand, maybe Alex is right again and it is his friends ought to trim a little…. Oh, yes, he is shy, or is it modesty and humbleness? Whatever, it wears well. Alex is lovable and loved. What precipitated these current accolades was the Summer 2000 Animal Rights Leadership Conference Alex Hershaft designed and carried out last July. He thought of everything and it was a splendid success. As many as a thousand came to the Hilton Hotel in McLean, Virginia for a full week of programs and festivities. No short schedule here, but something for everyone and a new surge of participants arriving every day up to the very end. The usual speakers were there – sporting FARM t-shirts and greeting and cheering in the rights advocate flock filled hallways. No one saw Alex much though, because he was behind the scenes making sure everything worked well – which of course it did because every detail was handled efficiently with aplomb. Exhibitors were nearly overwhelmed by the exuberant crowd. One vendor had to restock continually and said “We have never had a better time.” as the vegan products cash registers rang. Crowded and delightful, conversations at the tables in the hallways went on day and night. Alex knows how to throw a party. Speakers were good, advocates gathered and galvanized for action. It was a wonderfully structured event which felt comfortable and unstructured. That’s the beauty of Alex’s style. But for this expose’, too few would realize Alex’s masterful contributions and diligent hard work. He is the consummate moral activist, delicately always on the right track. At the conclusion of this gigantic and euphoric Conference, many marched, placarded, leafleted and lobbied legislators in the United States Capitol. All the way through, people ate. Banquets were great, and the alternative venues for vegan foods were also the best ever. Shy Alex picks good people and in assigning hotel restaurant foodservice to adept and experienced vegans he made history again by introducing menus using recipes from Incredibly Delicious, The Vegan Paradigm Cookbook (Gentle World, 2000). It was wondrous and all were pleased. The hotel kitchen staff was very pleased and it won’t be surprising if they offer a few vegan food selections on their own. “Really good stuff,” one chef said, “we’re eating it ourselves – and like it.” Alex deserves credit for this leap forward. Deer and Justice demonstrated how magically Gentle World people work, and they deserve credit for coordinating chefs, cooks and food suppliers to feed people well – 100% vegan – in every restaurant and banquet hall in the hotel. Who but Alex would approach billboard companies and persuade them to post the kinds of information FARM disseminates? He did it, here and there where a few dollars could be scraped up and a sign company was tolerant. Given sufficient funds and encouragement, he’d plaster the world with his messages: killing fellow creatures is unnecessary, wrong and bad for human health; farm animals deserve freedom to live natural lives; veganic-organic foods can protect and improve human health; and we all ought to be more thoughtful and kinder. These are just a few of the things for which Alex Hershaft deserves credit and accolades. Alex Hershaft is a hero. Awful revelations seem never to cease. Here is a new one. Tallow and other non-plant based oils are used in the manufacture of many plastics and give these polymers the slick smooth sheen people love to feel…. Ugh. Freya Dinshah, working with grocery store suppliers, learned some years ago from a manufacturer representative that “rendering plant fats are used in plastics and when microwaved may transfer to the enclosed foods.” It’s enough to make vegans shudder all around the world. Rejoicing that cornstarch and other plant-based products are being made into “recyclable” plastic sheeting and films, vegans must be advised that these new “breakthrough” plastics which satisfy ecological objectives may contain tallow and other fellow creature fats. Of course it has all been “processed” they may be told. That’s an old cover-up word. At IPBN, for decades, foods have been stored in glass containers for the most part. But the reason has been to provide airtight seals as well as to avoid the suspicious oiliness. Glass has just seemed better. Tin used to rust. Paper containers fell apart and let insects in and out. And there’s been no microwave around IPBN for years. Michael Klapper M.D. advised that the high powered electrical bombardment might possibly alter good chemical chains in pure foods. But tallow in plastic was never suspected. Oh dear, what to do now? “Quick, Henry a fix!” Ah, yes, hope is on the way, and from long Kosher conscious Lancaster County, Pennsylvania. Still, who would have expected this? Could you repeat that? Slowly…. Yes. That makes sense. Are there slaughterhouse sterates in plastics? “There sure are. We have a proprietary process for replacing them with vegetable oils. When can our team visit and brief IPBN and American Vegan Society staff in the Philadelphia area? The sooner the better. Hurry. There’s space in the Fall issue of PLANT-BASED NUTRITION to get this in if you can get here quick. And can you fax the details? Veganomics at work, evolving before the eyes of any who will see what is happening. Can’t be stopped, too efficient and appropriate to compete against. The time has come…. For further information contact Dell Riley at Premier En’Tre Corporate Headquarters, World Industries Center, 313 Liberty Place, Lancaster, Pennsylvania 17603. TEL: 717-290-8200 FAX: 717-392-3707 EMAIL: pure1@att.net WEBSITE: premiercontainers.com Let them know who sent you and please keep IPBN informed regarding plastic related experiences as the industry slowly veganizes. Get rich veganomically if you can, and help others. Why Lancaster County? Last century cork importers developed the concept of insulated buildings for cold food storage and then branched into linoleum which is ground cork on hemp canvas plasticized with flax seed oil and baked into endless sheets rolled and the cut to fit flooring needs. Plastic foam took over the insulation industry and petroleum-based plastics from nearby refineries and chemical plants took over flooring. But chemists who know plastics abound in the area and, as petroleum and perhaps even waste fats from rendering plants become more expensive, they understand how to shift from source to source. Throw in the fact that Kosher suppliers also abound to serve the nearby urban populations of Megalopolis and the story begins to make sense. Rabbis and chemists…oil supply problems…cork scarcity…Kosher consciousness…large-scale foodservice container and Kosher producers….awareness…realization…conversations…banker excitement…veganomic entrepreneurialism…a new star is born…. Imagine what’s next. Maybe linoleum again – improved though and maybe using some filler other than cork…. Plant-based economies are nothing new. Consider Eden. That was early veganomics. Eastern Europe had a tree based model economy before World War Two. A Pennsylvania State University professor recommended a tree centered plant-based food, fiber and fuel producing economy for the Commonwealth in the1920s. Rayon an “artificial silk” was progressing in America until petroleum based nylon outmaneuvered it in the 1930s. Several states are currently planning plant-based fuel manufacturing plants which will, use corn and other cheap grains as the chemical in making ethanol to energize 21st Century vehicles. Making paper and paint out of industrial grade hemp plants was efficient until the 1938 debacle which illegalized and shifted wealth from farmers to forest cutters and petroleum producers; these technologies are cycling back. British engineers and chemists discovered that wheat straw highly compressed bonded into plastic insulating boards from which thousands of buildings have been constructed around the world. Anyone who will investigate will find chemicals galore and plenty of other materials in simple plants sufficient replace all products currently derived from fellow creature corpses. Leave it to MOTHER EARTH NEWS to figure out “how to start a back yard nursery.” Author Michael J. McGroarty describes this in “GROWING GREENBACKS”, November, 2000, Pages 40-44. He presents a time-tested and photographically illustrated plan for utilizing backyard space as a profitable start-up business. He describes propagating techniques, soil building, plant tending and wholesale and retail selling strategies. He invites visitors to his website: freeplants.com and offers a $3.00 booklet to guide interested entrepreneurs. Veganic-organic veganagro guidelines would be best for such an operation. While trees are growing, herbs, vegetables, berries and edible ornamental plants might also prove fruitful. Fruit trees and vines are needed and in demand. It is the diet which maintains true health and becomes the best chi. Thanks to George Forman who sells those grilling appliances local stores offered a small version which was inexpensive enough for a test run in the IPBN kitchen. Would it grill vegetable slices and char them with the attractive black lines current food photographers present as desirable, Sure enough, eggplant slabs browned nicely and cooked well inside, and carrot slices browned too. Out of bread and lacking wholegrain burger buns, with a package of frozen BOCA Vegan burgers in hand, standing looking in the refrigerator a partially used package of wholegrain English muffins captured the eye. Why not try these too in the new grilling machine? First the vegan burgers were grilled, and they came out nicely. Then the muffin halves were grilled and they too were fine. The miracle here is that onion and tomato slices came out about the same size as the vegan burger patties and muffins to make quite a nice handful. Yes, lettuce, pickles and onions were added, mustard and both Nayonaise and Vegenaise. Splendid. Quick to fix and crowd pleasers. That first night three people each ate two and were very full. The scale of these IPBN MiniBurgers is perfect. Preparing for a driving trip cross country it appeared obvious that these wholegrain vegan muffins and burger patties were just too good to leave behind. So they were carefully packed between ice slabs in a standard insulated “cooler” and off drove the crew. The inventory lasted 1,700 miles and though thawed the BOCA Vegan burgers held up well over three days on ice with outside temperatures exceeding 112 degrees Fahrenheit. (The old automobile’s new air conditioner also worked well.) Now the George Foreman grilling machine seemed too fine to pack and carry, so it was left behind and a decision was made to use whatever toasters happened to be available at local motel stops. The finale was stealthy unobtrusive silent preparation while being observed by non-vegan white flour and white sugar bagel devotees, mostly coffee drinkers, at a Travelodge in Amarillo, Texas. Four beautiful IPBN MiniBurgers were constructed – after the components were well toasted in a standard two-slices-at-a-time appliance in the lobby of the motel. It was a breakfast treat and they were eaten plain. No western pioneer ever ate better. Toasted burger patties between toasted muffin halves. Straight and good. Orange juice was free. No one said a word. The now empty BOCA Vegan burger package was propped picture side facing viewers safely beside the toaster in hopes someone might notice. Motel proprietors and staff, be alerted. Stocking Vegan burger patties and wholegrain English muffins in your freezers can provide some wonderful plant-based nutrition for your guests. Perhaps signs can be posted: “If it ain’t vegan, it ain’t breakfast.” Maybe a singalong? Salads made of greens should always be served crisp and cold. The vegetables should be thoroughly washed, allowed to stand in cold or ice water until crisp, then drained and spread on a towel and set aside in a cold place until serving time…. Still numbered in hundreds, not thousands, IPBN members are around the globe. The three newest members reside in Egypt, Australia and Virginia, U.S.A. Welcome to them. As usual, so long as it remains possible, available back issues of PLANT-BASED NUTRITION are given to new members to “catch them up” so to speak. While IPBN membership is confidential, it is impressive indeed to review the listing of names and see how many prominent leaders are enrolled. This is a diverse group stretching across America with concentrations in major urban areas but also represented in rural regions and internationally. From small farmers and gardeners to nutritionists and doctors, IPBN members are a high quality honorable assemblage. Member names are not for sale or traded or cited in any way. This is the way it started four years ago and there seems to be no reason to change. IPBN is striving to be a good charitable organization and serve its members at the lowest possible cost while encouraging them to be as charitable as they can in their own areas to advance plant-based nutrition education widely. A member of several years has the spirit. She called recently from mid-America to advise that she’d been out giving vegan books to local libraries and was receiving positive responses wherever she went. Emboldened, she’s also been writing letters to certain religious leaders in her faith asking questions regarding why they haven’t discouraged slaughter of fellow creatures and awakened to the facts indicating that eating fellow creatures is correlated with the major diseases. She is receiving some nice thoughtful letters back and feels like some respondents are reflecting positively. She, and her equally joyous and energetic husband, enjoy health as never before – since they made that fruitfully fortuitous mistake several years ago and wound up at an Annual Conference of the American Vegan Society on the West Coast in Olympia, Washington. “Boy, we really learned a lot,” he has been saying since. Now they have learned so much that they are giving back to their community and that is exactly what IPBN has hoped to help bring about. As long as humans have lived on this planet, they have lived in fear of the violence of other humans. Evolution to a vegan consciousness will replace that fear with trust; and trust will lead to love; the only true religion; the source of all healing. Came a letter from Eckhart Kiesel, Operations Manager at Rapunzel – Pure Organics Since 1979. “We confirm to you that no animal products come in contact with the sugar cane juice during and after the process in making Rapadura whole cane sugar. In particular we confirm that the filters, through which the sugar juice is passed, are made of diatomaceous earth.” Dated March 28, 2000. Addressed to Institute for Plant Based Nutrition. In response to IPBN oral request at Penton Natural Foods EXPO West in Anaheim, California, as promised by Eckhart Kiesel…. This nice letter sent “With Best Regards” is very much appreciated. Thanks Eckhart. You are a ***** FIVE STAR QUALITY PROFESSIONAL. Keep up the good work and give the world even more vegan quality products such as *****RAPIDURA. While antibacterial products are popular, studies indicate that they do no better than soap and water. Some scientists even worry that they may do more harm than good..
Washouts in the war on germs? This new vegan products consumer and industry support website is under construction and has its first vendor listings signed up. 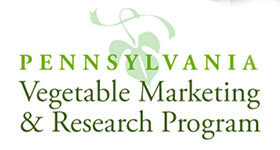 Vegan product producers should contact VeganQuality.Com, 333 Bryn Mawr Avenue, Bala Cynwyd, Pennsylvania 19004-2606. TEL: 610-667-6876. Well, Gentle World Inc. has evolved into a publisher with four outstanding titles in print: Incredibly Delicious, The Vegan Paradigm Cookbook ink has recently dried and this newest offering is available from any book supplier in the world. Three earlier books include: The Cookbook for People Who Love Animals by Gentle World, Pregnancy, Children, and the Vegan Diet by Michael A. Klaper M.D. and Vegan Nutrition: Pure & Simple also by Michael Klaper M.D. These four books are more than major contributions to vegan literature; they are the state of the art. Since 1979, when it incorporated in Florida, Gentle World Inc. has been “a non-profit educational organization dedicated to the prevention and alleviation of human and animal suffering, specifically by educating the public as to the health, environmental, ethical and spiritual benefits of the vegan diet and lifestyle.” Pretty serious folks and marvelously successful at achieving goals. But this is supposed to be a book review, critical and sage. Just buy the book! It will bless your life. Since you are going to soil and wear it out, buy two. Order a dozen to distribute as gifts and place in libraries. It just can’t get any better than this. A supreme opus. Here is the everything you need to know book. And reading it is fun as well as educational. Mouth watering…. Consider this sample recipe for a Barley-Pecan Loaf: In a blender mix ¼ cup of oil, 5 garlic cloves, 1 ½ cup mashed tofu, 1 cup water, 2 Tablespoonfuls tahini, ½ teaspoonful curry, ½ t pepper, 1 T Spike Seasoning and 2 T nutritional yeast. Combine the blended mixture in a large bowl with 8 cups cooked barley (2-3 cups dry grain before cooking), 2 cups grated carrots, ½ cup chopped pecans and 1 t paprika. Mix well. Bake in a pre-heated oven at 350 degrees Fahrenheit for 45-60 minutes. Cool before serving with the gravy of choice. Just one recipe of hundreds, yet “not one of our all time favorites” says Gentle World representative Flowers. “Our favorites are East Carrot-Grain Loaf, Super Vegan Burgers, Chinese Medley, Gourmet Lasagna, Potato Wellington and Tofu ‘Omlette.’” Buy the book. Relish the recipes and other text. Try them all. Table of Contents at the back, on page 304… Some 35 sumptuous categories: “Bread & Breakfast” (50 recipes), “Scrumptious Salads & Soups” (63 recipes), “Dips, Dressings, Sauces & Gravies” (62 recipes), “Appetizers & Side Dishes” (53 recipes), “Entrees” (97 recipes), “‘Rawsome’ Recipes” (123), “Just Desserts” (77 recipes), plus “The Vegan Paradigm” and a plethora of monographs, hundreds of veganic philosophy quotes. Just fabulous, the whole thing. Beautiful work, friends, you are beautiful people. Incredibly Delicious: The Vegan Paradigm weighs 1.85 pounds per copy and can be ordered from Gentle World Inc., Box 238, Kapa au, Hawaii 96755 Tel: 808-884-5551 EMAIL: gentle@aloha.net WEBSITE: www.veganbooks-gentle.com The cost is $22.50 plus $4.30 shipping. Joy is the publications manager awaiting your requests. All Gentle World publications are also available from the American Vegan Society, Box 369, Malaga, New Jersey 08328. (TEL: 856-694-2887 FAX: 856-694-2288) And anyone who donates US$100.00 to IPBN will receive copies of all four Gentle World books postpaid in North America as well as a paid-up Year 2001 membership and personal handwritten thank you note. That’s right, it does not get better than this. Veganism is advancing with Gentle World leadership in the forefront. Hurrah! Gentle World friends have done it again. Light. Sun. Sky. Golden. Joy. Flowers. Birds. Summer. Home. Justice. Deer. Beautiful and Pleasure are canine fellow creatures. All these are joyous souls and this is a great big wonderful book representing their love for everyone. Three hundred and four delightful pages with large print in an 8 ½ x 11 inch format with lay flat binding in a colorful cover. Hundreds of recipes. Philosophy on almost every page. Plant-based nutrition supply sources. Organization lists. A bibliography. Definitions. Glossary. Index. Even two pages of “Recommended Kitchen Appliances.” What more can they do except move in and take charge of preparing every meal? Who on earth are these people? Gentle World? Where do they live and why do they make these contributions to the general welfare of all? Are they idealists of some sort out to educate others? Just what are they about? The Gentle World team of evolutionaries resides in Hawaii, and now New Zealand also. From this paradise, individuals make occasional forays to the mainland say to feed a thousand people in Arlington, Virginia gathered for the Animal Rights Leadership Conference last July, or in earlier years to feed hundreds vegan cuisine at Hollywood banquets. They get around as needed and called for. To say they are self-sufficient or survivalists would be an understatement. To some they may resemble an “intentional family” among the like-minded advanced vegans who find and join them. They use their names for inspiration, each a goal to live up to. For these humble friends, sun, water, trees and a little soil are sufficient to re-make Eden wherever they are. They adopt names expressing how they feel at a given time and judging by their selections no one ever has a bad day. Full of love people, does that communicate a sense of burgeoning joyousness and vigor? They collaborate and produce superior produce. They eat produce and advocate plant-based nutrition as demonstrative vegans carrying out professional roles as gardeners, farmers, cooks, conference cuisine coordinators, writers, illustrators, publishers, seminar presenters, computer programmers, lawyers…whatever needs to be done. They are better than ordinary professional performers, however, they smile, make people feel good, maintain humbleness and credit others generously. Vegan idealists indeed. Community builders. Ice cream sells. Make it out of oats and water and people will love it even more. This is a “heart healthy” cholesterol reducing food product under United States Food and Drug Agency regulations. At OatsCream home base in Minneapolis, Minnesota, Sales are up and dissemination widespread as this product achieves veganomic success nationally. Consisting only of micro pulverized oats and water with whatever flavoring is desired, OatsCream is a nutritious frozen soft vegan-ice-cream which is essentially sugar and fat free. Nothing toxic here, very few suffer allergies to oats. Every town and village needs an OatsCream dispensary. It is a great dessert following a vegan pizza dinner. Wherever people gather, at parties and beaches and parades and fairs, OatsCream can be profitable. Coast-to-coast, distributors can supply it to retailers of every sort. Jesse Ventura: Please promote this excellent product. It could be the official refreshment of Wrestlemania events. Serve it in the State Capitol and let people compare this plant-based nutrition confection with anything else they like. It can win hearts, woo palates and perhaps bring in praise for anyone wise enough to promote it on the campaign trails. If you like it, so will most others. Time for NON-DAIRY KING from Minnesota across America! OatsCream is about as simple as a product can be: a frozen block of oat puree to which water and any natural flavoring are added while the ingredients are being blended in any ordinary soft-ice-cream machine. It can maintain quality all day, continually blending and staying almost frozen, available when the spigot is turned and cold, smooth, delicious OatsCream is removed as needed. Help spread OatsCream consumption by contacting: American Oats Inc., 952-473-4738. Peel every clove of a whole garlic bulb and set them to boiling in about two quarts of pure water. When the aroma is strong and the cloves are nearly soft, add chunks from two whole russet potatoes. When chunks are thoroughly cooked, add around four cups of coarsely torn kale leaves.